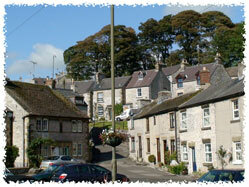 Tideswell is located approximately 6 miles from Bakewell and just off the A623. Please use the navigation tools on the upper left of the map below to zoom and pan the View. You may also pan the map by holding down your left mouse button and dragging the mouse. Click here to enquire about availability of bed and breakfast or holiday apartment accommodation at Rockingham Lodge.